We investigated the spontaneous recovery of non-operated traumatic brachial plexus injury (BPI). 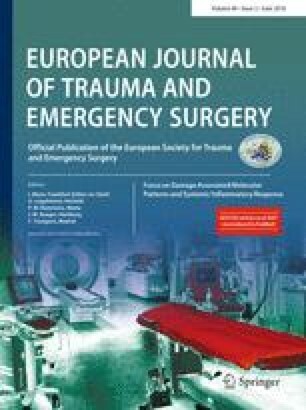 A total of 25 cases of non-operated traumatic BPI were analysed by retrospective review of medical records; in all cases, consecutive electrodiagnostic studies (ES) were conducted from 1 to 4 months and 18 to 24 months post-trauma. Injury severity was assessed using a modified version of Dumitru and Wilbourn’s scale (DWS) based on ES. Spontaneous recovery of brachial plexus components per subject was analysed using Wilcoxon’s signed-rank test. A two-tailed Fisher’s exact or Pearson’s Chi-square test was used to examine the associations between initial injury severity (DWS grade 2 vs. 3, complete vs. incomplete), accompanying injury type (open vs. closed), main lesion location (supraclavicular vs. infraclavicular lesion), and spontaneous recovery. The most common cause of BPI was traffic accident (TA) (15 cases, 60%), and the most common type of TA-induced BPI was a motorcycle TA (5 cases), accounting for 20% of all injuries. The second most common type of injury was an occupational injury (6 cases, 24%). Thirty-eight (69%) of 55 injured brachial components in 25 cases had DWS grade 3 and 17 brachial components (31%) had grade 2. The DWS grade of brachial plexus components per subject significantly differed between the first and follow-up ES (p = 0.000). However, initial injury severity, accompanying injury type, and main lesion location were not statistically associated with spontaneous recovery (p > 0.05). Spontaneous recovery may be possible even in severe traumatic BPI. Multiple factors should be considered when predicting the clinical course of traumatic BPI. Seong Hoon Lim, M.D., Ph.D., Jung Soo Lee, M.D., Ph.D., Yeo Hyung Kim, M.D., Tae Woo Kim M.D., and Kyoung Min Kwon, M.D. declare that they have no conflicts of interest. The study was reviewed and approved by the institutional review board of our institution (Ethical approval number: UC16RISI0083). For this type of study, formal consent is not required. All authors did not receive any funding from institutions.